Shedding hair, thinning hair, balding patches on the scalp and increased hair loss can be a frustrating problem for the majority of men and women. Besides genetics, there are other factors that are responsible for hair loss such as aging, changes in nutrition and stress. 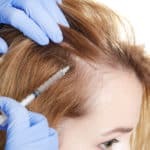 Fortunately, the advancement in medical science has introduced non-surgical methods for treating hair loss and Platelet Rich Plasma (PRP) and ACell + PRP is the popular non-surgical Hair Restoration Treatment options. PRP and ACell + PRP are the best solutions for hair re-growth while giving you younger-looking appearance. The treatment of PRP and ACell + PRP involves using the patient’s own blood to stimulate the new hair on the targeted area and that is the reason they don’t have any side effects. What is Platelet Rich Plasma (PRP) and how does it promote the growth of hair? The blood contains red blood cells, white blood cells, and platelets. PRP or Platelet Rich Plasma is a component that is derived from the blood of the patient. The function of platelets is to repair the injury area. They remain inactive inside the blood and are only activated when there is an injury. This activation of platelets starts a repairing process that involves the release of specialized proteins called growth factors and adult stem cells migrate to the injury area. As a result, production and regeneration of cells begin. For the treatment of hair loss, the blood is spun in a machine that separates platelets from red and white blood cells and produces platelet rich plasma serum. This PRP is then injected into the targeted area of the scalp that activates the dormant hair follicle stem cells resulting in the stimulation of hair growth. In order to maintain the results of the PRP Hair Restoration treatment, the treatments must be repeated every 3-4 months in one year. What is ACell and how does it helps to improve the results of PRP? ACell is a bioactive powder and basically a naturally occurring protein matrix approved by FDA that is used in wide variety of medical and surgical applications. It is a cellular regeneration product which is used to repair and regenerate damaged tissues. ACell powder is combined with PRP blood serum and then injected into the scalp. This ACell combination with PRP provides a temporary framework for the accumulation of the growth factors and other healing proteins. This framework strongly holds the growth factors and the healing proteins in the treated area for a long period of time so that they continuously provide nourishment and stimulation of the hair follicles. For those individuals who have advanced hair loss, 2 treatments with 8 weeks apart are required for greater effective results. Those individuals who are experiencing minimal hair loss can achieve desired results with only one treatment. ACell + PRP Hair Restoration required a number of treatments repeated every 12-24 months rather than 3-4 months. The results of ACell + PRP hair growth therapy are more effective, consistent and long-lasting. How does the procedure of ACell + PRP improve the results of the Hair Restoration? Using the combination of ACell + PRP proves to be more productive as compared to PRP treatment alone. The effect of PRP is short lived but when it works together in a synergy with ACell, it provides abundant and an immediate source of growth factors and healing proteins that enhance the effect of ACell. The ACell + PRP accelerate and fertilize the hair re-growth process by activating the stem cells present in hair follicles that stimulate the tissue regeneration process. Which therapy: PRP or ACell + PRP works best for Hair Restoration? In some circumstances, it is needed to go for the PRP treatment alone because of the religious and cultural norms that exclude using ACell because it is derived from animal tissue. Secondly, some patients are sensitive to ACell and for them; PRP alone is the appropriate treatment option. On the other hand, PRP + ACell therapy is the effective Hair Restoration Treatment that preserves the thickness of new hair for a long time period. 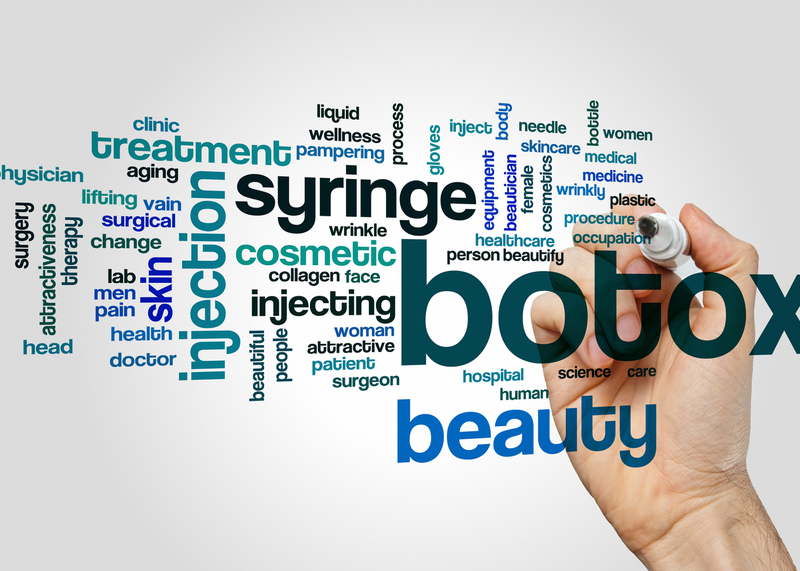 It gives more consistent and long-lasting results than PRP alone. PRP + ACell injection therapy is more clinically demanding and technically sophisticated procedure as compared to PRP. Only a professional medical specialist helps you to determine the right Hair Restoration Treatment for you according to your specific conditions and needs. The doctors at Laser Klinic in NYC tailor the appropriate Hair Restoration Treatment plan specifically for each patient fulfilling the desired results while keeping in view the goals and expectations. Our specialists provide best PRP + ACell Hair Restoration Treatment and PRP hair re-growth treatment using the state-of-the-art facilities with personalized care that give you younger-looking appearance boosting up your self-confidence.